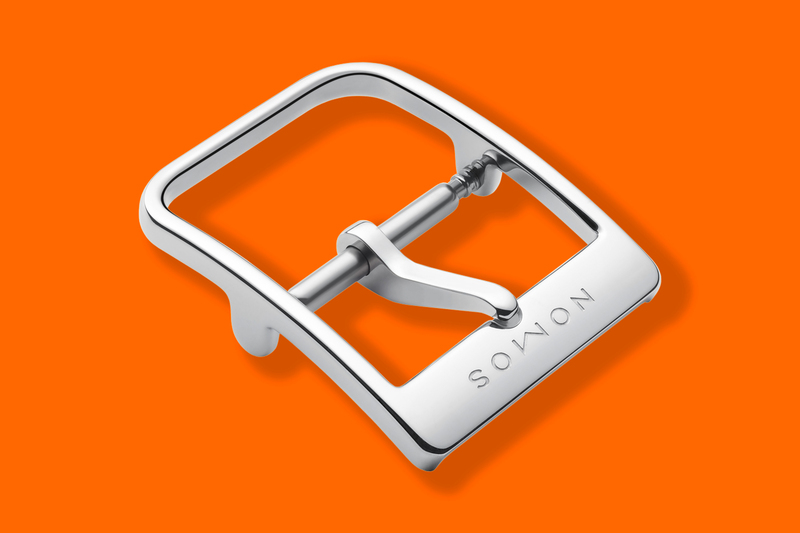 NOMOS winged pin buckle with a width of 16mm in stainless steel, suitable for watch straps measuring 16mm at the buckle. The NOMOS winged buckle made its first appearance on the brand’s gold Lux and Lambda models, but today they’re also available in stainless steel. The buckle is 100% NOMOS: simple yet perfect. Designed in Berlin, elaborately produced, and polished by hand, in true NOMOS fashion these buckles exude elegance through their beautiful minimalism. Please note that this buckle is meant to go with designated straps, which feature only one keeper.